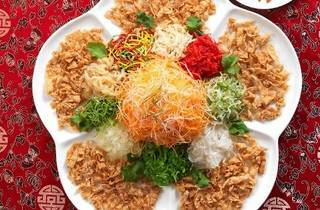 Ring in the Year of the Horse with a range of set menus. The Appreciation Menu (Until Jan 19) is a nine-course meal that starts at RM1,188++ for a table of ten, featuring things like braised tiger prawn with buttered cheese and braised dried scallop soup. 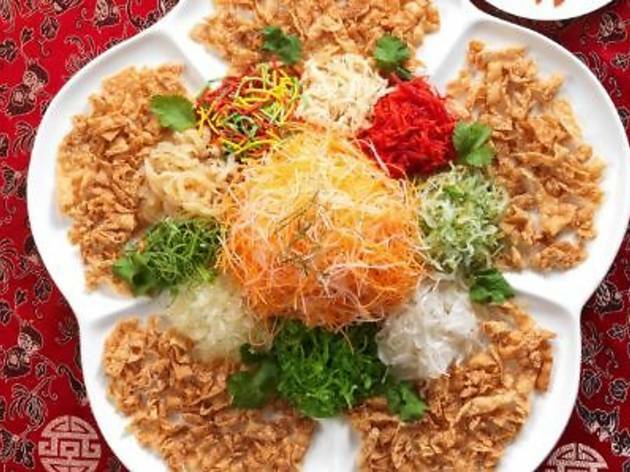 Meanwhile, the Harmonious Reunion (Jan 20–30) starts at RM1,488++ per table of ten and sees a myriad of offerings including steamed lotus leaf rice with preserved meat, poached village chicken with preserved clam and the stewed abalone with sea moss. Alternatively, go for the Prosperous Lunar New Year Set Menu (Jan 31–Feb 14), starting from RM1,288 with dishes like sautéed scallops with macadamia nuts, wok fried prawn with creamy pumpkin and creamy butter sauce, and crispy roasted chicken with spicy plum sauce.